What’s the best way of starting the day in the cold season? Warming and soothing porridge! With the darkness and the cold weather, I crave warm and hearty meals like soup, stew, root vegetables and spices. It’s amazing how your body knows what you need in different seasons. 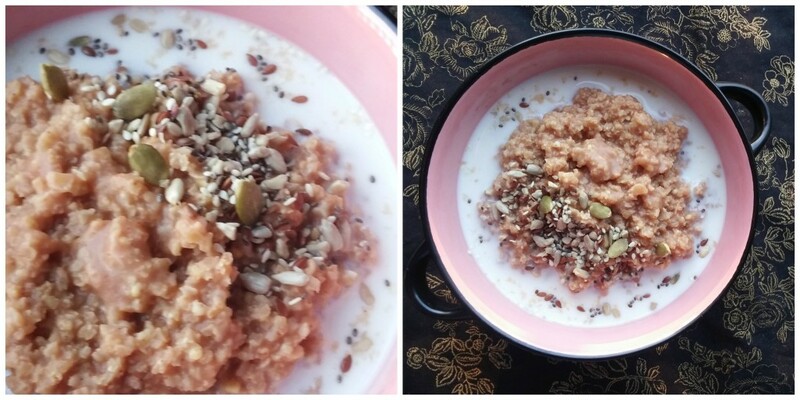 I have made a millet porridge here, but you can substitute with quinoa, amaranth or other grains that you have in your pantry. You can also make so many variations with the different toppings and flavours. The millet takes up to 20 minutes to cook. So if you are busy in the morning it’s a good idea to soak or precook in advance for the next morning or even make it the night before and heat it up in the morning. Add millet and hot water in a pot and simmer for 20-25 minutes until cooked (soaked millet will take less). Stir occasionally so that it doesn’t stick to the bottom of the pot and add more water if needed. Take it off the heat and add the rest of ingredients and stir well. Ladle into bowls, add milk of your choice and top with crunch nuts or fruits. Here is a perfect heart-warming salad. I make a lot of salads throughout the year, but this one is on top of my list when I get cravings for something hearty and flavoursome. I can make a big batch and happily eat every single day. Roasting vegetables is so easy and healthy way of cooking. 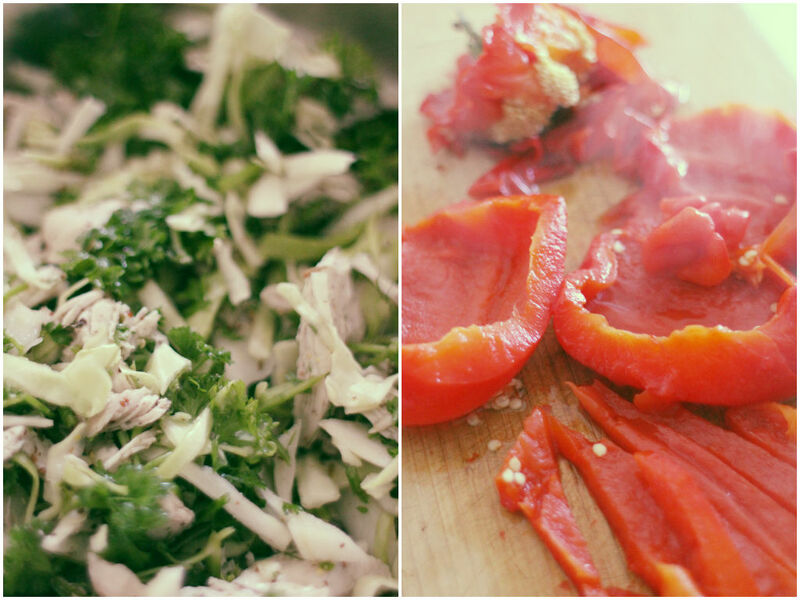 All you need to do is wash, chop, dress and place vegetables in the oven. My favorites are roasted carrots, pumpkin, parsnip, beetroot and cauliflower. The oven does all the hard work for you so that you can enjoy a glass of wine while dinner is getting ready. Caramelised sweet vegetables smell and taste amazing. This salad is not only a great accompaniment to a roast or grilled meat but also is good enough for main on its own. Feel free to double up the recipe for a work lunch or potluck party. Mix melted coconut oil, cumin, thyme and cayenne pepper in a large bowl. 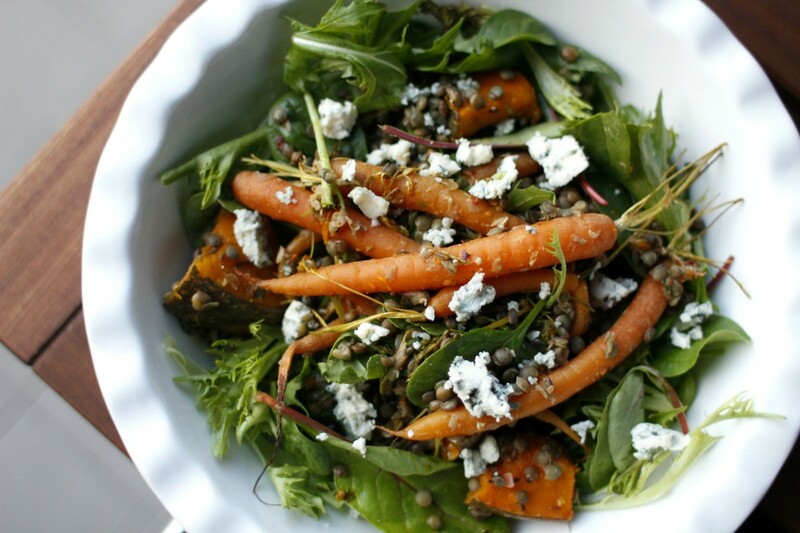 Put baby carrots and diced pumpkin into a bowl and toss well. 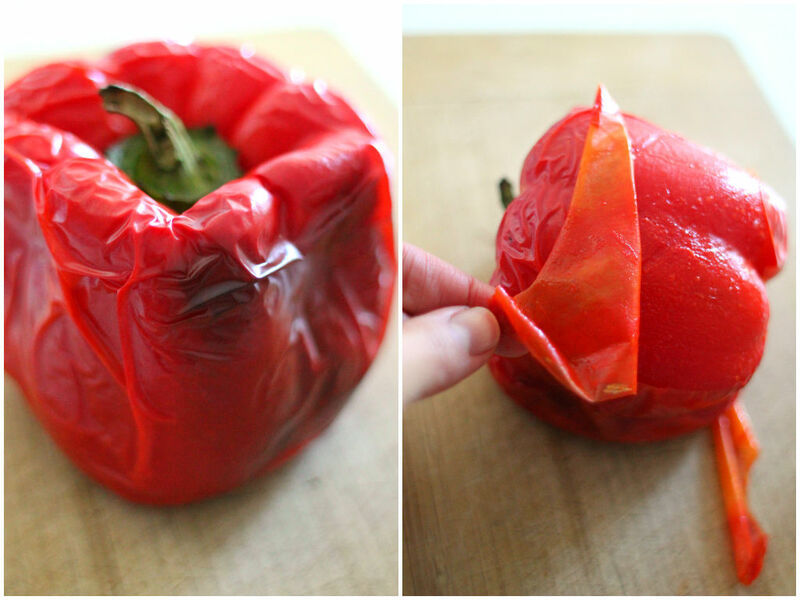 Transfer veggies to a baking dish and place in the preheated (180) oven for 20 minutes or until cooked. In the meantime, wash and drain soaked lentils. Cover with water or stock and bring it up to boil. Reduce the heat and simmer for 20 minutes or until lentils are cooked for your liking. Take it off the heat and drain. 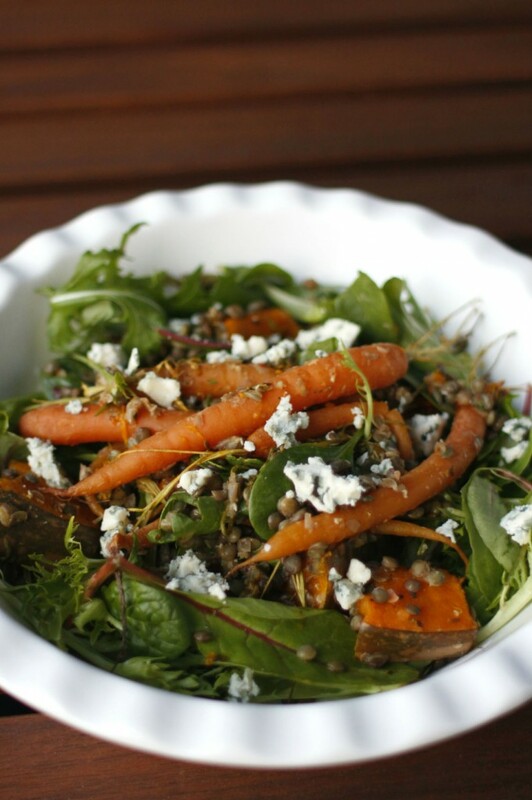 Place roasted carrots and pumpkin and cooked lentils in a large bowl together with salad leaves. Toss to combine and add salt and pepper to taste. Drizzle a good quality of olive oil and crumble blue cheese on top. Serve warm. 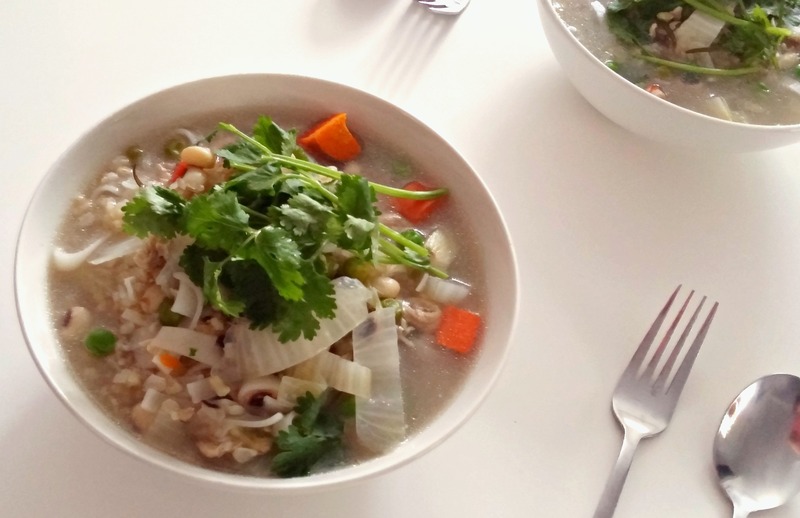 A warm bowl of chicken soup is perfect when there is a chill in the air. 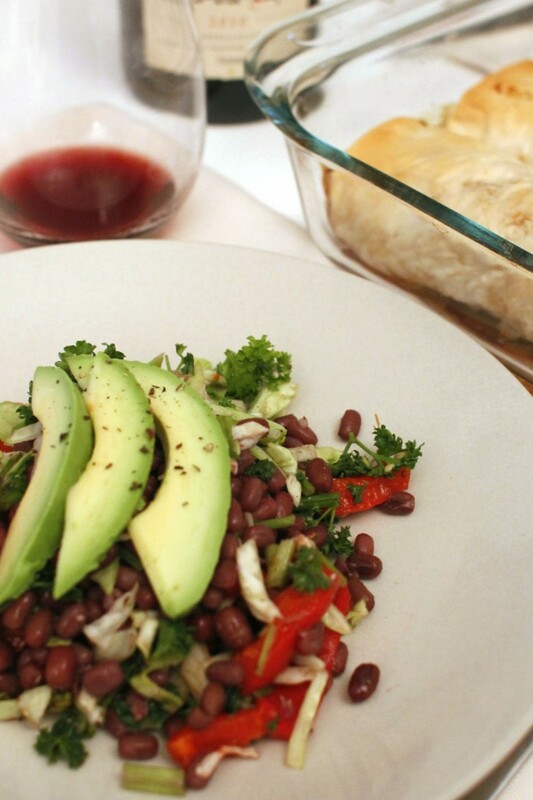 Not only is it a yummy hearty dish but also a healer that boosts your immune system. Vitamin B, calcium, magnesium and zinc from stock made with chicken bones, anti-inflammatory ginger and garlic, anti-bacterial and anti-viral rosemary and nutritious vegetables in one bowl. Ultra-cleansing! 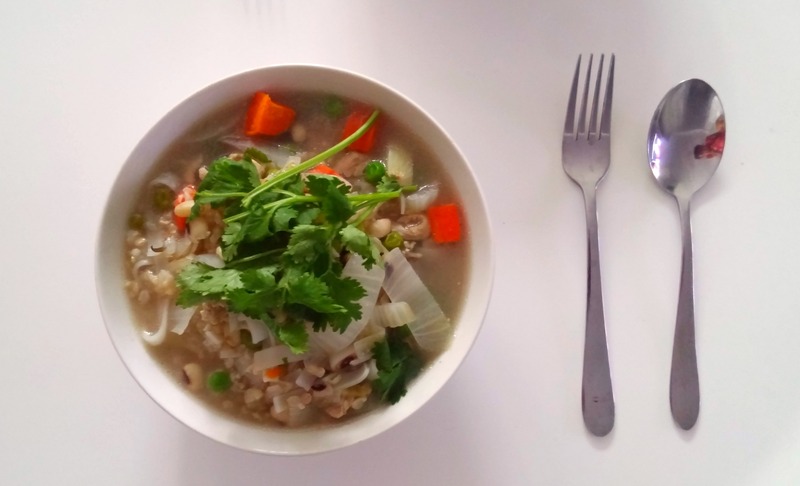 When I was sick as a child, my mum used to make me a rice porridge just like all other Koreans do because you don’t have much appetite when feeling ill and tend to crave for a simple and bland meal. I couldn’t understand why Westerners eat chicken soup instead of porridge when you catch a cold or feel sick until I actually tried it. Nutrition tick! flavour tick! feeling better tick! Amazing! Wash the chicken and remove skin and fatty bits. Place in a stock pot along with chopped onion, garlic, ginger, bay leaf, rosemary, chili and peppercorns. Cover with cold water. Bring it up to a boil, reduce the heat and simmer over low heat for an hour. Take the chicken out and pull the meat off bones. Discard bay leaf, add the meat, rice noodles and chopped vegetables into the pot. Simmer for another 15-20 minutes until veges are cooked. Adjust seasoning, ladle into bowls and garnish with coriander. Parsley is one of the herbs I fell in love as I started cooking. When I was a child, I thought it was just a garnish on the side and not edible. I was totally wrong! It is so vibrant and delicious. Not only is the oil and aroma incredible but also it is packed with antioxidants, vitamins and minerals. Of course, fresh ones are superior in flavour and nutrition compared to the dried form. For storage, you need to wrap them in dampen paper towel and place in a plastic bag inside the fresh section of fridge. You can make salads, salsa verde, quiche, pasta, pesto, etc. So versatile, right? This pesto is a little different to traditional pesto recipes that use basil, Parmesan cheese, pine nuts and olive oil. I added coriander leaves for more herby fragrance, tahini for creaminess and crunchy walnuts. You can use this pesto for pasta, gnocchi, marinade for fish, chicken or steak, spread on bread and dressing for roasted vegetables. Rinse and roughly chop parley and coriander leaves. Place them and other ingredients in a food processor. Blend all and transfer to a sanitised jar. 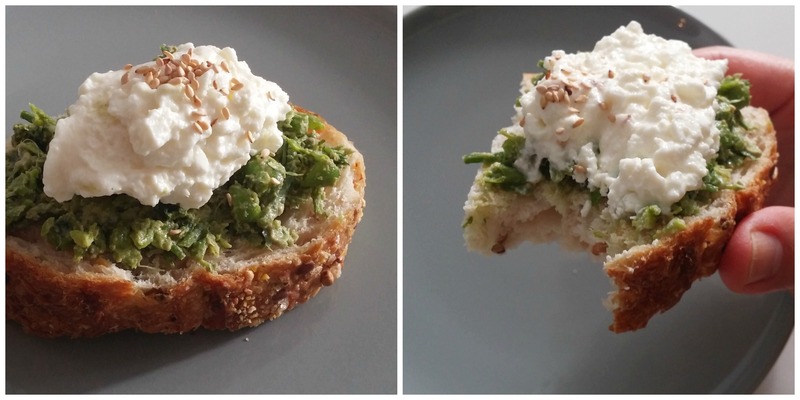 For my lunch, I mixed this pesto and green peas and served on a slice of sourdough with a dollop of cottage cheese.